The man is gone, but we still have his wisdom. Back in 1989, I guess I was one of the first of the millions of people who bought and read Stephen Covey's classic book, The 7 Habits of Highly Effective People. As I began reading, my first thought was: Only seven? But I discovered that he was really writing about the full range of personal strengths. He wrote to help people grow stronger as human beings. And he did it so well that even managers and employers purchased the book for their employees, and the book became an all-time best-seller. Probably it will never, ever be out of print. The most thorough student of personal development who ever lived, what he wrote always rang true, because it was true. 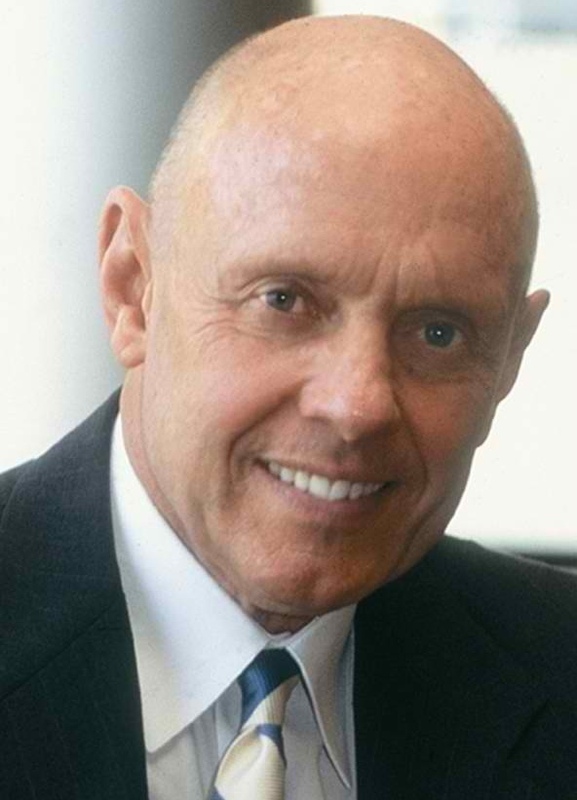 And he shared his wisdom in a way that made it stick in the mind, so today as I browse through my collection of favorite Stephen Covey quotes, I see that I have over 40. Here are my top favorites. “If I really want to improve my situation, I can work on the one thing over which I have control - myself. "We are limited but we can push back the borders of our limitations." If you've read any of his books, you know that what he was trying to do was to help people get their act together - so they'd be able to work on the important things first and get them done. But in doing that, he had a lot to say about character, values and the principled life, because you have to be strong as a person to do the hard things involved in achievement. "Our character is basically a composite of our habits. Because they are consistent, often unconscious patterns, they constantly, daily, express our character." "It takes a great deal of character strength to apologize quickly out of one's heart rather than out of pity. A person must possess himself and have a deep sense of security in fundamental principles and values in order to genuinely apologize." “We are free to choose our actions, but we are not free to choose the consequences of these actions. “My behavior is a product of my own conscious choices based on principles, rather than a product of my conditions, based on feelings. CREATIVITY - "Live out of your imagination, not your history." DECISIVENESS - "We are not animals. We are not a product of what has happened to us in our past. We have the power of choice." OPEN-MINDEDNESS - "Seek first to understand and then to be understood." SELF-DISCIPLINE - "It's easy to say 'no!' when there's a deeper 'yes!' burning inside." TRUST - “Trust is the glue of life. It's the most essential ingredient in effective communication. It's the foundational principle that holds all relationships. I love his creativity one the best. I really enjoyed his books especially the 7 Habits....He will be missed. I didn't know her passed. Thanks for sharing this. I was trained in Utah many years ago as a facilitator of 7 Habits. He was a great man and I learned a lot from him. Excellent refreshers on this Monday morning, Denny. Covey really moved the ball down the field for a lot of folks.